Here’s something fantastic brewing for you, Salt Lake. 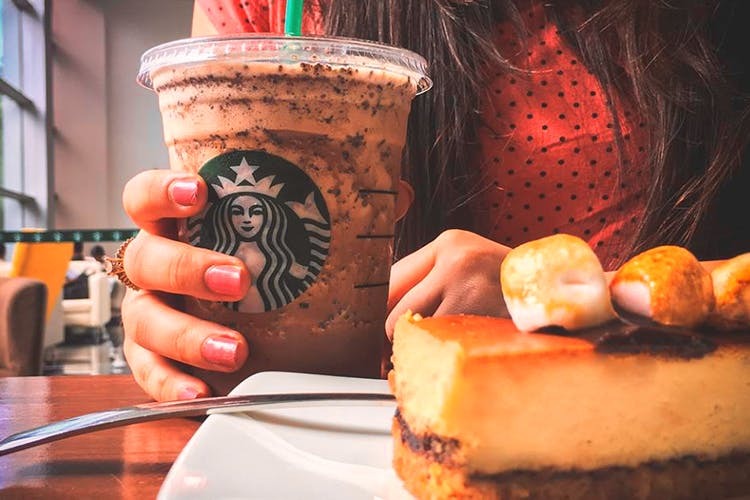 No more travelling to the other part of the town when craving a Tall Caramel Macchiato or a Grande Frappuccino because Starbucks has finally coming your side. Central Kolkata has one and South Kolkata has two, it was time for Salt Lake to have its due. The wait is over now folks with Starbucks opening its store in City Centre 1! Now morning, evening, noon or at night, you can drop by here for a good cuppa without a long drive involved. Get your fix of a good Americano or a latte or drop in for sandwiches and their Kolkata special chocolate rossomalai mousse during your office break. If you’re a digital nomad, then come here to spend some good hours working on their free WiFi while sipping on their fantastic new cold brew nitro coffee. It’s your chance now to get the max out of that wonderful Starbucks membership card!